Got the post-summer blues and need something to look forward to? 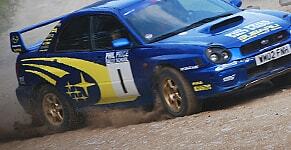 What better way to spice up your summer than getting behind the wheel of a Subaru Impreza? Our action-packed days give you the chance to drive on real forest stages. Rally driving has been around for nearly as long as motoring itself. One of the most thrilling experiences imaginable, it is perfect for anybody looking for an adrenaline kick like no other. This motorsport is guaranteed to get the heart racing and give you a whole new driving experience. 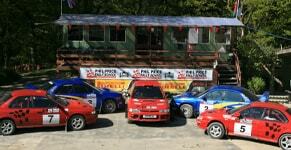 With Phil Price Rally School you can get behind the wheel of a fully prepared rally car with the support of a highly experienced instructor to teach you all the latest techniques. Unlike other rally driving days, we promise plenty of time spent behind the wheel. Our 7 hour rally days promise plenty of time spent behind the wheel. Our venue is based in the centre of Wales and promises some of the most stunning views in the UK, with our stages overlooking many epic panoramas. Our One Day Intense Course always finish with a heart-stopping competition against other rally drivers- will you be the one to take home the trophy? If not, don’t worry: we also reward runner-up prizes! Why not check out videos of our driving experiences for more information? This will give you a real insight into what it involves!